Cutie Meets Mr. Lizard is the first of Cutie's Big Adventures in the new Cutie Book Series. Felicia Di John, the author of The Cutie Series is an animal lover and is passionate in her support for dog rescue. Based on her own experience, she created The Cutie Series and hopes her book will help educate young readers about life lessons and instill in them a love for animals. The illustrator of Cutie Meets Mr. Lizard is Terence Gaylor who easily captures kids' hearts and imaginations with his colorful illustrations which have an underlying message of gratitude but never preachy. Cutie is an adorable rescue dog – a Chihuahua with big ears and an even bigger heart – who lives in a house in the desert. Sweet, curious, and adventurous, she's a little dog who thinks she's big. Cutie is never happy when her mom leaves for school because that means she will be all alone. So one day, Cutie decides to go outdoors by herself to play. She explores the desert around her, meets a new lizard friend, and even discovers that some animals eat very strange things. She is having so much fun that she almost forgets to get back home before her mom arrives! Our pets add so much to our lives as they are comforting, perceptive, inquisitive, fun, energetic, snuggly and the list goes on! This book gives kids a creative glimpse into Cutie's life and an exciting day of her way outdoors, meeting a new friend and learning an important life lesson. With eye-catching illustrations, fun and imaginative adventure, a sweet tale of friendship, a life lesson to be grateful for what we have and supporting rescue pets are some of the wonderful things to look out for in this book. 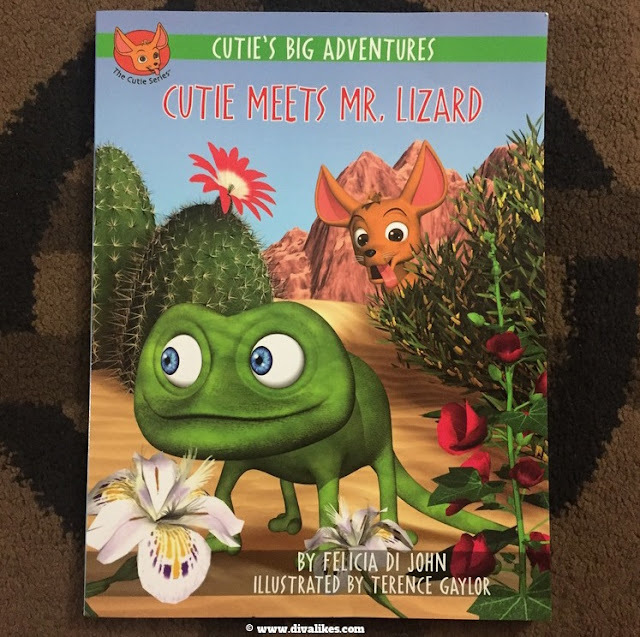 Overall, Cutie Meets Mr. Lizard is an uplifting, memorable and fun book you would not want to miss reading!